Well, that was fun! Nothing quite like a good old blow. It’s still dark as I write this, but the coming dawn are going to show us a fair bit of damage. “A wet and windy day for most areas” as they say. I’m picking that some of our well-loved buildings may have been damaged, possibly beyond repair. The Boatshed in Nelson for instance – damaged in the last storm – I’m picking it will have been further damaged and maybe it is no longer even there. The cute little shed on the edge of Days Bay that pokes out into the Harbour – reckon it will have survived? Or is it toast? What about the sheds above the water over at Shelley Bay? Seeing as they are in a parlous state of repair, will they still survive? 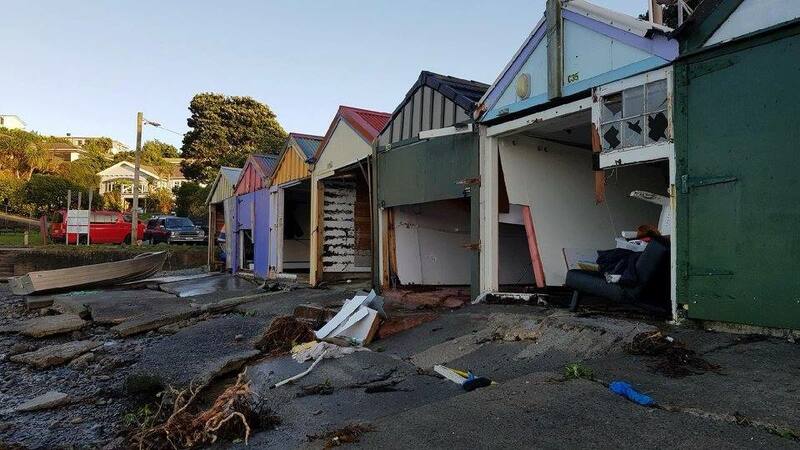 Post-script: As it turns out, Titahi Bay in Porirua was one of the more badly hit places. 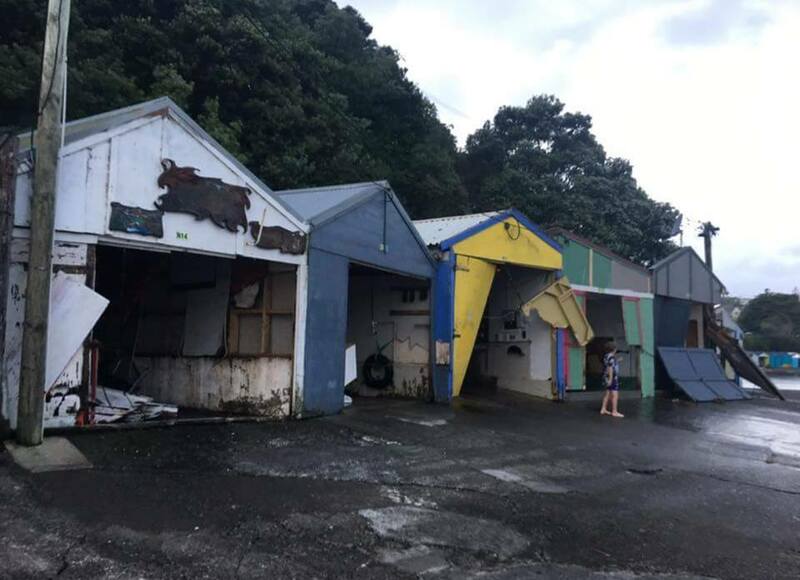 Doors to their iconic boat sheds ripped off, stoved in, and generally battered around.